Consumer confidence surged to its highest level since 2004 towards the end of last year, but millennials now have less consumer confidence than their parents. That’s according to data from the University of Michigan, Haver Analytics, and Deutsche Bank Global Research. Optimism among those under 35 hasn’t dropped below that of those aged 55 and older in the last 60 years, since the University of Michigan began recording the consumer sentiment of these two generations. Millennials’ diminished confidence is likely rooted in the economic hardships many of them have faced as they came of age. 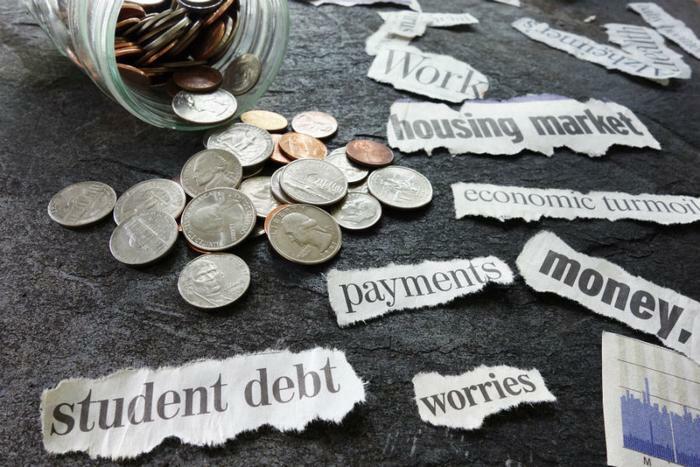 Student loan debt has reached $1.4 trillion as the cost of college has soared. Burdened by student loan debt and higher housing costs than their parents faced at their age, many young Americans are finding it almost impossible to spend “only” 30 percent of their income on rent or a mortgage, MarketWatch notes. Additionally, for the first time in more than 130 years, millennials are more likely to live with their parents than with a spouse or partner in their own household. Researchers say that’s because younger Americans tend to get married later in life and/or have more student loan debt than they can feasibly manage while also paying for rent or a mortgage. Peter Schiff, the chief executive of Euro Pacific Capital, believes the middle class has been gutted by over-regulation, an escalating cost of living, and stagnant wages. “Families are smaller,” Schiff told MarketWatch. "They can’t afford to raise their kids or send them to college without taking out a lot of student debt. It’s too expensive. People are getting married later in life and many don’t get married at all." But there may still be reason for optimism. Although many millennials have nothing saved for retirement, reports indicate that some millennials do have assets. A recent Bank of America report found that nearly half (47 percent) of working millennials have $15,000 or more in savings and 16 percent have $100,000 or more in savings. Americans appear to be concerned about the economic prospects of those who come after them. A 2017 Pew study found that just 37 percent of Americans believe today’s children will grow up to be better off financially than their parents. Half (49 percent) of 18- to 29-year-olds believe that the next generation will be worse off, while more than half (61 percent) of Americans aged 50 and over believe the next generation will be worse off. “The U.S. may be one of the richest countries in the world, with one of the highest per capita gross domestic products among major nations, but Americans are fairly pessimistic about economic prospects for their country’s children,” said the Pew study author, Bruce Stokes.